You may have noticed an increase in mustaches around the office and at the local market. That’s because Movember is coming to a close, and men have been growing out their “staches” in a global effort to raise awareness for prostate cancer. 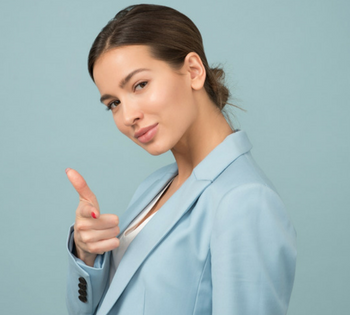 However, women have also gotten involved in unique ways to join the fight. Handlebar mustaches, the Chevron, and more have been grown and styled to support the Movember Foundation, founded in 2004 by Adam Garone and Travis Garone. What began in Melbourne, Australia, Movember has gone global. The aim is to fight prostate cancer, as well as testicular cancer, depression, and other men’s health and wellness issues. Women are also taking part in fighting prostate cancer. 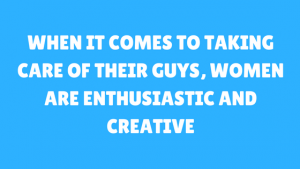 Mustaches are probably not on the ticket for women in November, but when it comes to taking care of their guys, women are enthusiastic and creative. The Movember Foundation implemented Move for all to take part. Move is a 30-day challenge that coincides with the month of the mustache. Women around the world are indeed on the “move,” setting 30 day challenges of walking, running, cycling, swimming, or anything else you may want to challenge yourself to do. Women are also teaming up to fight prostate cancer and the health and wellness issues men face. The community Movember has is astounding! 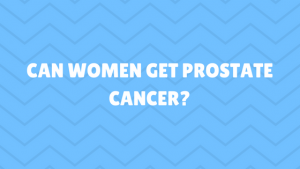 Prostate cancer in women is extremely rare. However, it can happen. The Prostate cancer in women is associated with the Skene’s glands. These glands are in some ways like a male prostate, according to researchers. Cancer of the Skene’s glands is rare, accounting for 0.003 percent of cancer in the female genital-urinary tract. Movember is a time for men’s health, and women love their men, and support their health and wellness. By joining forces, men and women are fighting serious health and wellness issues that have a major impact on families. 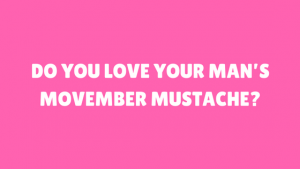 Do You Love Your Man’s Movember Mustache? There are more than three million deaths per year due to inactive men, and women are aiming to decrease that number every Movember! Movember is no longer that time of year for women to tolerate a bushy mustache on your man. Women are making Movember their own in some unique ways, and it only adds to the popularity of November. Do you have signs of symptoms of cancer, or need to talk to a doctor about a health concern? Our Dr. Chat is free and you can connect with a doctor today from the comfort of your home. Simply click the button below to get free online healthcare.